This exquisite crochet baby blanket, composed by BHooked Crochet, flaunts the self striping Bernat Pop! Yarn exceptionally! Look at the colorblocking themes – you can follow the pattern or design them on your own way. Corner to cornet stitch makes it quick and at the same time easy to crochet. Don’t hesitate to pick you your favourite shadings. For more free designs every day follow us on Facebook. Link to the free pattern is below. 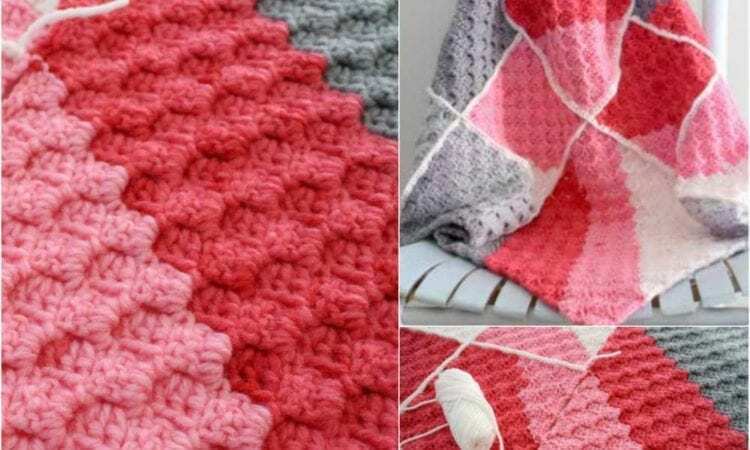 Bernat Pop Geomertic Baby Blanket – Free Crochet Pattern is here. Video tutorial is below. Don’t forget to Like us on Facebook. Share your ideas and your work on our Facebook group.